Valley Boulevard is a street in Southern California, running east from Los Angeles to Pomona, where it becomes Holt Boulevard, and a continuation from Fontana to Colton. It generally parallels Interstate 10 (I-10) and State Route 60 (CA 60), and is the original alignment of U.S. Route 60 (US 60). The present north end of I-710 is at Valley Boulevard in Los Angeles, just west of Alhambra. The road begins northeast of downtown Los Angeles at the intersection of North Main Street and North Mission Road, passing through the University Hills district at the northernmost edge of the Cal State LA campus and then through Alhambra. It ends at the interchange with CA 71 in Pomona, continuing east through Pomona as Holt Avenue and entering Montclair as Holt Boulevard. After Holt Boulevard passes through Ontario, it merges with I-10; a few miles eastward from there, another piece of Valley Boulevard splits from I-10 in Fontana, running through Rialto to I-10 in eastern Colton. When the old alignment next splits, in San Bernardino, it is known as Redlands Boulevard. Valley Boulevard (former U.S. Route 60 and U.S. Route 99) is a vital and growing professional and business sector that includes many Asian markets, eateries and other service-oriented businesses such as physicians and dentists. There are multiple Asian banks and Asian owned and operated enterprises that accommodate the burgeoning Asian population. The Asian communities in the San Gabriel Valley follow along a 25-mile (40 km) stretch of Valley Boulevard covering the entire length of the San Gabriel Valley with Alhambra on the west side and Diamond Bar on the east side. Asian communities in the San Gabriel Valley extend as far north as San Marino and Arcadia and as far south as Hacienda Heights and Rowland Heights. Valley Boulevard begins at Lincoln Park, off North Main Street near downtown Los Angeles, about a mile northeast of the downtown Los Angeles Chinatown. From North Main Street, Valley runs east along a five-mile (8 km) stretch including large industrial tracts and the largely Hispanic community of Lincoln Heights. Midway between downtown Chinatown to the west and the start of the ethnic Chinese suburbs to the east is the beautiful Ming Ya Buddhist Temple, on Valley Boulevard in Lincoln Heights. From Los Angeles, Valley Blvd. enters Alhambra, the "Gateway to the San Gabriel Valley". Alhambra, which is 47% Asian according to the 2000 census, has a large number of Asian businesses along Valley Boulevard. Alhambra's Valley Boulevard boasts numerous noodle shops, Asian cafés and the original Sam Woo Barbecue restaurant. The artful Wing Lung Bank features the largest glass tile mural in North America, composed of 996,000 3/4" glass tiles. Each year, Alhambra and San Gabriel host one of the largest Lunar Chinese New Year celebrations in the country which includes a parade along Valley Boulevard. Continuing east from Alhambra along Valley Boulevard are the cities of San Gabriel and Rosemead with San Marino, Temple City and Arcadia being further north and east. These five cities have Asian populations between 40 and 55% with a large number of Asian businesses in their various town centers. Arcadia has some of the finest tofu and dumpling houses in the world. Along Valley Boulevard in San Gabriel are dozens of Asian mini-malls and hundreds of shops and restaurants. San Gabriel Square is one of the most prominent and features a 99 Ranch Market, several shops and restaurants including specialties such as Taiwanese and Vegetarian food. Valley Boulevard in San Gabriel also includes the comprehensive San Gabriel Superstore which includes multiple vendors anchored by a large grocery store. Inside and outside the Superstore are found numerous vendors of Asian art, jewelry, books, videos, clothing as well as health and beauty aids. Delicious round red and green bean pastries sold at a stand near the entrance. Continuing east from Rosemead further along Valley are the largely Hispanic communities of El Monte and La Puente and large industrial tracts, including those that dominate the City of Industry. This ten-mile-long (16 km), largely industrial corridor includes many Asian owned wholesale businesses, including importers of electronics, food and furniture from Asia. North of La Puente is West Covina which is 26% Asian and south of La Puente is Hacienda Heights which is 36% Asian Hacienda Heights is home to the Hsi Lai Temple, the largest Buddhist temple in the United States. The temple encompasses 15 acres (61,000 m2) and a floor area of 102,432 sq ft (9,516.2 m2). The temple's Ming Dynasty (1368–1644 AD) and Qing Dynasty (1644–1911 AD) architecture is faithful to the traditional style of buildings, Chinese gardens, and statuary of ancient Chinese monasteries. Hsi Lai was built to serve as a spiritual and cultural center for those interested in learning Buddhism and Chinese culture. On the east side of the San Gabriel Valley, before Valley Boulevard becomes Holt Avenue in Pomona, are the communities of Rowland Heights, Walnut and Diamond Bar. These three communities each have Asian populations of between 50 and 60%. Rowland Heights offers its own mini ethnic suburbia, including the businesses lining Colima Road (about one mile (1.6 km) south of Valley), Fullerton Road and Nogales Street. Indoor malls in Rowland Heights feature fine restaurants and chic Asian boutiques. In downtown El Monte, the old road is now Valley Mall; a new alignment has been built a block to the north. A road named Old Valley Boulevard exists in La Puente, where the new alignment crosses over a railroad on a bridge. The old road originally crossed near Unruh Avenue, and later moved to Hacienda Boulevard. The road originally crossed the railroads in western Pomona via Pomona Boulevard, present CA 71 and 2nd Street into downtown Pomona. The road was once known as Main Street between El Monte and La Puente and Pomona Boulevard between La Puente and Pomona. Main Street became Valley Boulevard between 1933 and 1942, and Pomona Boulevard was renamed (except for the old section in Pomona) by 1959. When US 60 was first extended to Los Angeles ca. 1932, it ran along Valley Boulevard. The new alignment (Ramona Boulevard and Garvey Avenue, now partly the San Bernardino Freeway) was built ca. 1934, taking US 60 off Valley Boulevard. 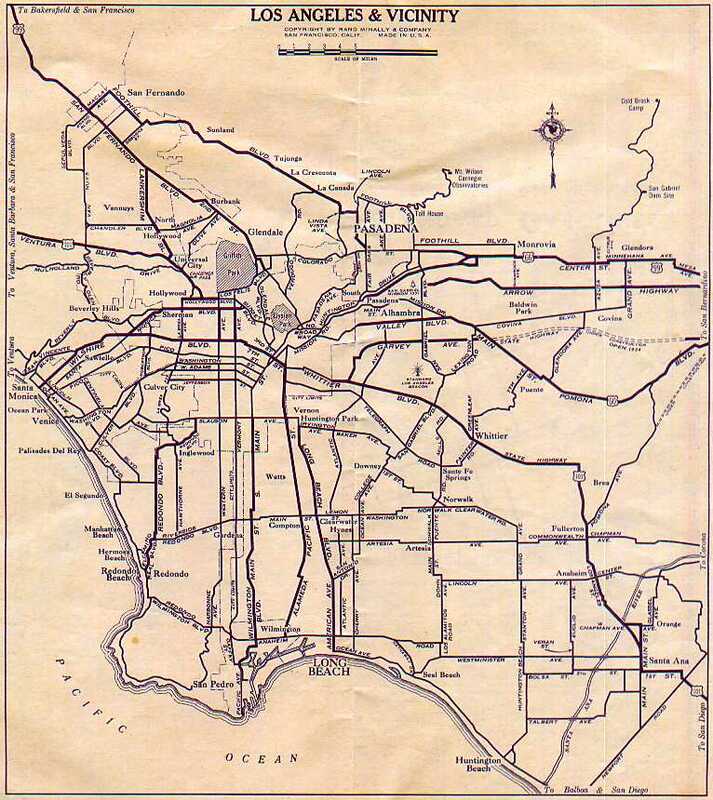 Pre-1964 Legislative Route 77 was defined in 1931 to run from downtown Los Angeles to Pomona along Valley Boulevard, and then to continue east to Riverside and south to San Diego. The part from the east city limit of Los Angeles (just east of the north end of CA 7, now I-710) to I-10 in El Monte was assigned the State Route 212 number in the 1964 renumbering, and in 1965 it was removed from the state highway system. Bus service from Downtown Los Angeles to El Monte is served by Metro Local line 76. Bus service east of El Monte is served by Foothill Transit line 194. Fullerton Road Provides direct access to Harbor Boulevard in Orange County. ^ a b "Cityofalhambra.org". Archived from the original on 2010-11-21. Retrieved 2011-01-17. ^ a b c Douglas Quant (2007-02-06). "Inland News | PE.com | Southern California News | News for Inland Southern California". PE.com. The Press-Enterprise. Retrieved 2010-11-11. ^ "Favorite Dumpling Restaurants in the San Gabriel Valley". ^ Chopsticks, Wandering (11 June 2008). "Wandering Chopsticks: Vietnamese Food, Recipes, and More: San Gabriel Superstore - San Gabriel". ^ "City of West Covina : Home". ^ Pan, Philip P. (1993-08-08). "Good Neighbor : Hemisphere's Largest Buddhist Temple Wins Over Residents". Los Angeles Times. 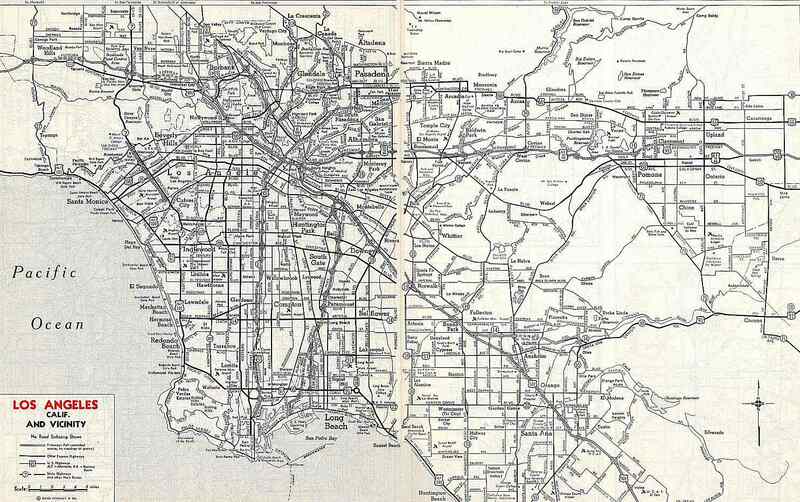 ^ a b c d "1933 Rand McNally Los Angeles and vicinity map". Archived from the original on 2011-07-26. Retrieved 2008-02-13. 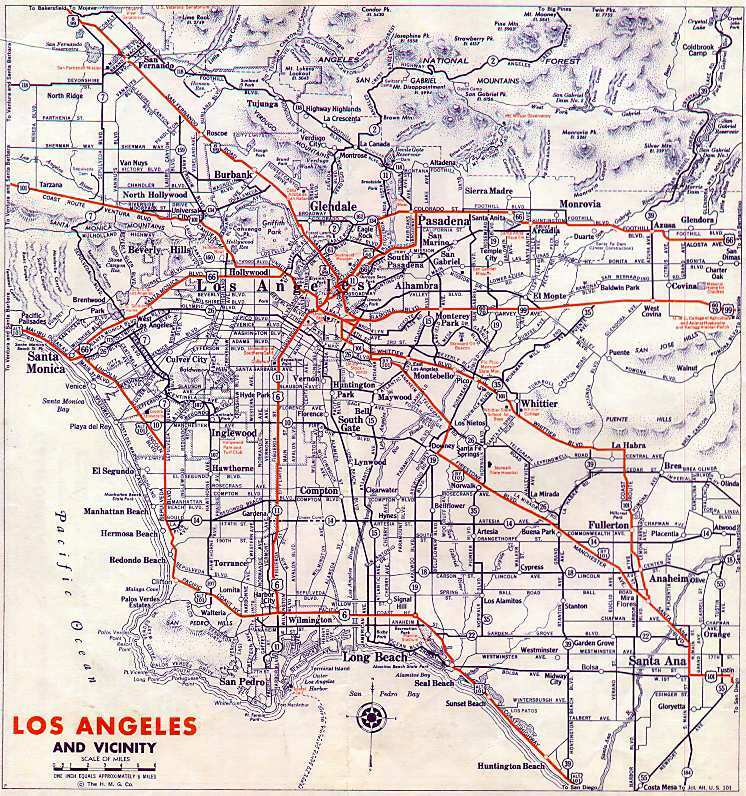 ^ a b "1942 Gousha Los Angeles and vicinity map". Archived from the original on 2006-04-24. Retrieved 2011-11-29. ^ "California Highways (www.cahighways.org): Chronology of California Highways 1915-1932". ^ "California Highways (www.cahighways.org): Routes 209 through 216".